You’ve seen the commercials on the telly. You may have even talked to your dentist about it. Invisalign is becoming an increasingly common alternative to traditional braces. This is especially true for adults, who may not wish to subject themselves to nicknames like “brace face”. 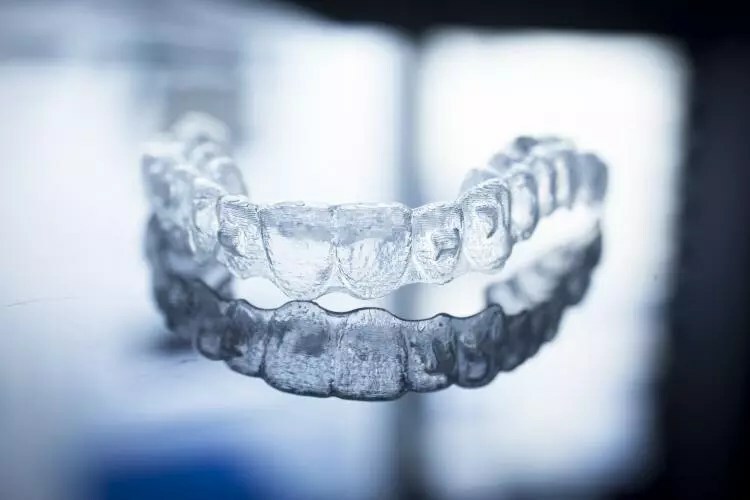 Instead of metal brackets and wires, patients wear customized transparent aligner trays. Sounds great, right? It is, but as with any treatment, you need to understand the treatment option a little better. 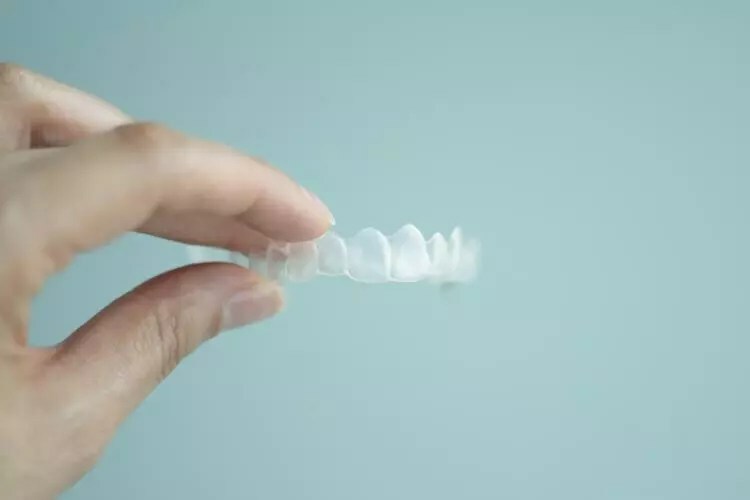 If you’re considering Invisalign for yourself or a child, read this guide to learn 12 things you should know about Invisalign. By the end of your treatment, you should be able to smile confidently with your newly straightened teeth. You and your orthodontist will work together to create moulds of your mouth. Your role will involve being present with your mouth. The Invisalign lab will create a mould based on the measurements your orthodontist provides. They’ll then make personalised alignment trays to suit your orthodontic needs. You will need to wear them nearly full-time during the course of your treatment. They need to be worn for at least 22 hours a day. The only times you won’t wear them are while you eat or drink anything. The exception is cold water. 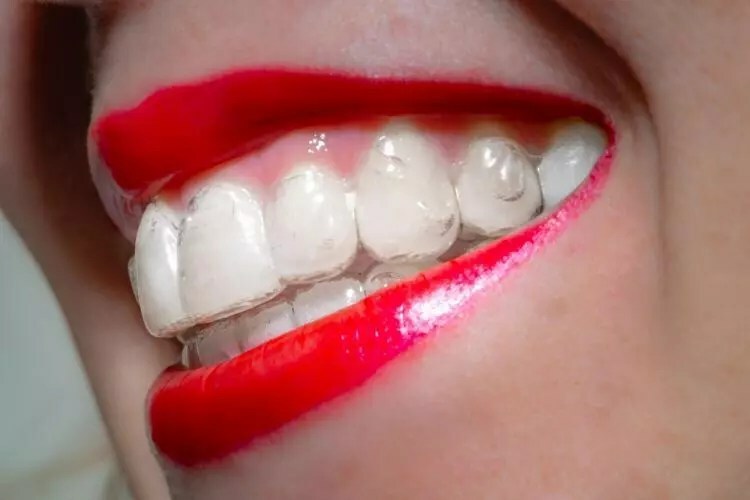 Heat can cause the aligners to morph into undesirable forms. If you refuse to wear them regularly, the treatment won’t work properly. You may be forced to wear them for a longer period of time than planned. You’ll need to wear each set you get for fourteen days at a time. Toward the end of each cycle, you’ll begin to notice some discolouration. This may be disturbing, but you’ll survive. You can’t quit wearing one of the aligner trays for this reason. You must complete the two-week cycle. 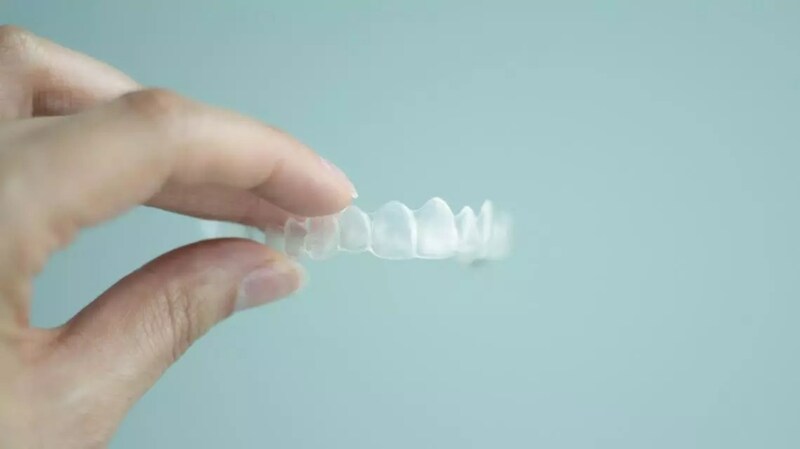 If it worries you, know that you can clean your aligners. Invisalign treatment demands a lot of responsibility. Dentists and orthodontists will recommend conventional braces for teens and younger children. However, if you have a teenager you believe can handle the responsibility, make sure they stay on top of it. This could be a great opportunity to instil some responsibility. Your aligners can become a breeding ground for bacteria. Cleaning your aligners is just as important as cleaning your teeth. Neglecting to clean your aligners could let harmful bacteria sit in your mouth. This could lead to dangerous bacterial infections. Some people report getting sick more often, but this is primarily anecdotal. Try to avoid cleaning them with toothpaste and a toothbrush. This can damage the trays. If you do this, make sure the toothbrush is very soft. Hard bristles can scratch the surface of the aligner trays. This gives bacteria more places to hide and grow. You can use a special Invisalign cleaning solution to soak them, but you can also use soap and water. If you opt for the latter method, be sure to rinse them. You don’t want the taste of soap ruining your whole day. One of the greatest benefits of Invisalign is the freedom to eat. With traditional braces, you may be limited in the foods you can consume. With Invisalign, you just need to remove the aligner trays. There is a catch, though. You need to brush your teeth and clean your aligners after every meal, snack, and even drink. If you don’t, you risk leaving acids, sugars, and bacteria to sit on your teeth for hours on end. This is not a healthy dental hygiene model. It can lead to plaque and even tooth decay. This means you will need to get used to brushing your teeth far more frequently than before. Once in the morning and once at night won’t be enough. This may force you to look a bit deeper at how you eat. You may need to make minor changes in your eating habits. This will largely be due to convenience rather than need. For example, you may wish to snack less often. This will keep you from needing to brush your teeth all day. Because your teeth may be more sensitive, you may resist eating chewy or hard foods. These changes in your eating habits may not necessarily be a bad thing. An orthodontist is a medical professional who undergoes specialised training following dental school. Their work focuses on malformations of the jaw and teeth. An orthodontist uses specialised equipment and techniques to correct these malformations. Much like with conventional braces, you’ll need to visit your orthodontist often. This will occur about every 6-10 weeks, depending on your orthodontist. Your orthodontist needs to check your progress throughout the process. They will make sure your teeth are moving the way they need to. Each time you visit the orthodontist, you may receive several sets of alignment trays. This is normal. Each aligner is responsible for one step of the overall treatment process. Staying on schedule with your appointments is important to your treatment. Getting off schedule could lead to complications or longer treatment. Taking responsibility for your treatment is important. You should feel comfortable communicating any areas of concern to your orthodontist. You’re free from conventional braces. You may not be free from brackets and rubber bands. This may sound horrifying, but it’s all in your best interest. Some cases require a bit more force to move teeth in the direction they need to go. In these cases, the orthodontist may place small tooth-coloured buttons close to your gumline. They are designed to be as discreet as possible. These buttons allow the aligners to put extra pressure on problematic teeth. This could be to target specific teeth that need an extra push. Some teeth may not respond to the aligner tray alone. In some cases, your orthodontist may recommend rubber bands. Buttons similar to the ones discussed above will be used as anchor points. Like conventional braces, the rubber bands are meant to pull stubborn teeth with more force. This should make for a straighter smile. In general, Invisalign is not as painful or uncomfortable as traditional metal braces. There are no metal brackets or wires to cut and irritate the inside of your mouth. However, you may experience some discomfort. The aligners are forcing your teeth to move in a particular way. This comes with the possibility of some pain. Additionally, each aligner is designed to be ill-fitting at first. They aren’t moulded to the current position of each tooth in your mouth. Instead, they are moulded to represent where your teeth should be at the end of each two-week cycle. When you get a new set, you may notice they are difficult to put it and remove. Over the course of the two-week cycle, your teeth will move to fit the mould. Each is designed to move specific teeth. As you progress through the treatment, you may notice discomfort in different areas of your mouth. It may even feel like your teeth are loose. Don’t worry. Your teeth are just shifting around. 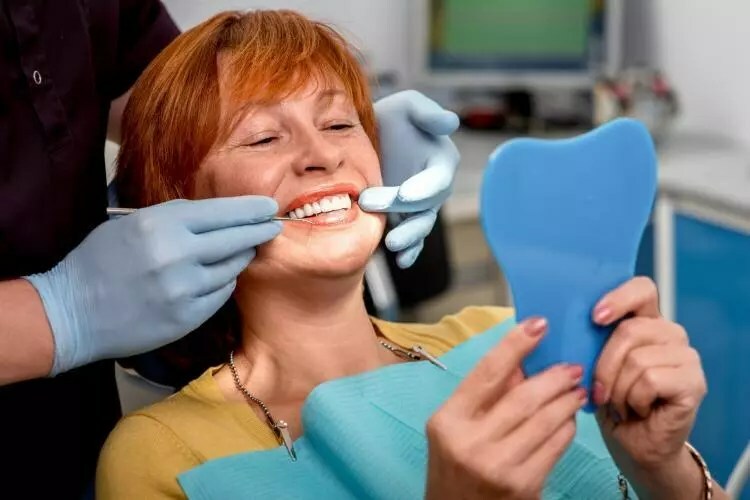 Some trays are designed to move a few teeth. Others are designed to move many. You may have never heard of this before. It’s a common procedure in orthodontic care. When you first see your orthodontist, they will determine what your teeth will look like at the end of treatment. To bring the teeth back into alignment, your orthodontist may narrow certain teeth. To do this, the orthodontist will shave down a small portion of the tooth enamel. You may be concerned about the potential side effects of this process. The procedure has been used for decades. The procedure is considered safe. Research has found no increase in incidences of gum disease, tooth decay, or bone problems. One of the main attractions to Invisalign is the discreetness. However, you may notice people asking you about your teeth. Invisalign can make your teeth appear shiny or even discoloured at times. The people closest to you may notice these subtle changes. Perceptive strangers may notice too. Changes may be slight, but people may notice slight changes in your speech. This may only occur when you first put in each successive aligner. Once you get used to the aligner in your mouth, your speech will return to normal. That said, many patients go through the entire treatment process without anyone noticing. You do not want bacteria and other germs to start breeding in your alignment trays while you wear them. Make sure to brush and floss your teeth regularly. 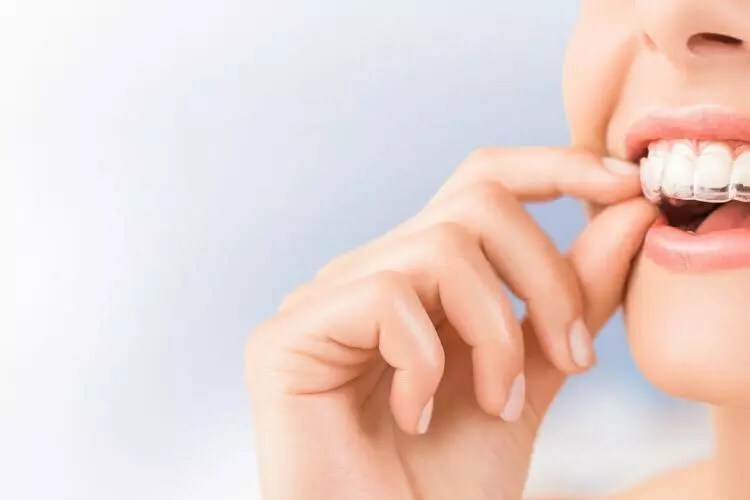 This is a good habit to get into without Invisalign, but it will become more important. 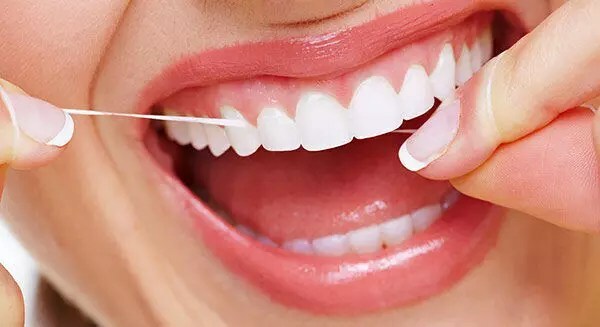 Try to brush and floss your teeth every time you eat. If you don’t, you risk food particles getting stuck between your teeth and the aligner trays. This can cause further dental problems, such as cavities and tooth decay. Essentially, you need to stick with a dental hygiene routine. Oral hygiene is important at all stages of life. During Invisalign treatments, you’ll want to take extra good care of your teeth. 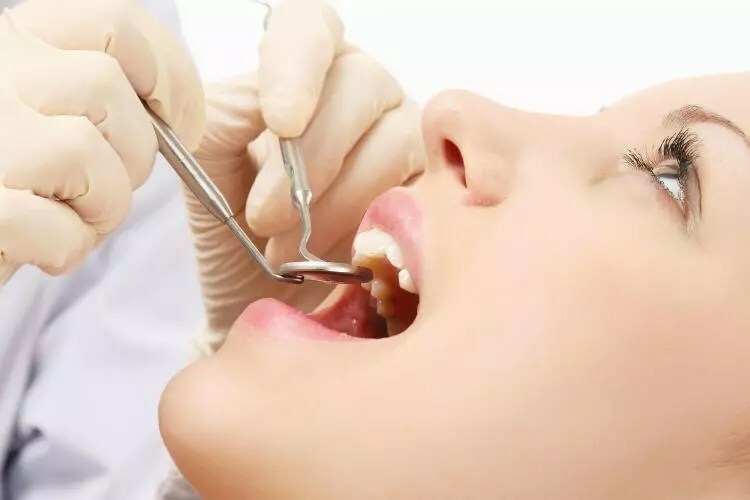 During the course of your treatment, you should still regularly visit your dentist in Ealing for cleanings and check-ups. Braces and other orthodontic care are considered cosmetic treatments. For this reason, many insurance policies exclude these treatments. This means you’ll have to pay for the treatment out of pocket. This can be terrifying. First, you’ll want to talk to your orthodontist about the Invisalign treatment you’ll need. Discuss costs and payment options. Often times, you can find payment plans to help spread the cost of the treatment over time. The cost of a typical Invisalign treatment isn’t much different from conventional braces. The cost ranges from around £2,500 to £4,500. Treatments may cost more or less depending on how much attention your teeth need. If you’re considering teeth-straightening, Invisalign may be right for you. You just need to discuss the payment options available to you. When you finish your last cycle of aligners, you may think the treatment is over. This is incorrect. In order for your Invisalign treatment to remain effective, you’ll need a retainer. Without a retainer, your teeth would move back to their original position. You don’t want all that time and money to go to waste. Your orthodontist will discuss more with you about retainers. They will take moulds and fit you with retainers. From then on, you’ll need to wear retainers for life. Following your Invisalign treatment, you’ll only need to wear the retainers full-time for a few months. After that, you can wear them only while you sleep. Invisalign is a popular alternative to conventional braces. This is due to its effectiveness and discreet nature. Invisalign can be used to treat a range of issues, but it may not work for everyone. Speak with your dentist or orthodontist about your specific needs. They will be able to guide you in the right direction. If you need extra orthodontic care, they will be able to tell you. If Invisalign will work for you, the choice will be yours. Invisalign may not be for everyone. We are one of few ealing dental clinics that provide invisalign treatments. Like conventional metal braces, the treatment can be costly. However, it has proven effective for straightening teeth. Be sure to stay on top of your dental hygiene and remain responsible. Responsible use of your alignment trays will make the process easier, quicker, and more effective. The freedom is yours to make a choice. This guide to things you should know about Invisalign is meant to help you make an informed decision. Visit here to learn more about Invisalign and the treatment process.